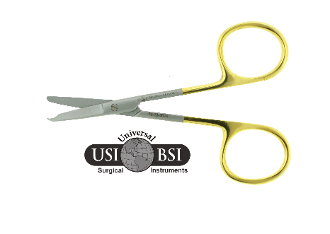 The USI Supercut Spencer Stitch Scissors are primarily used for suture removal. These scissors feature a small hook shaped tip on the bottom blade that slides under sutures to lift and told them for cutting and removal. This particular scissor was made with our signature supercut blade which is serrated on one side and sharp on the other.